Ahoy maties! 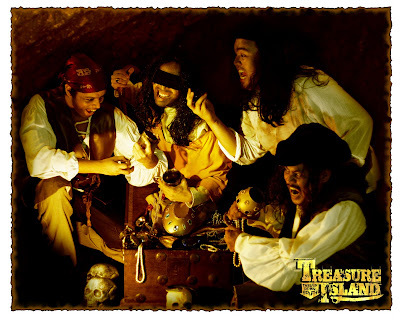 Get ready for a thrilling, swashbuckling, rum-drinking adventure as Theater Down South presents the Prince Street Players version of “Treasure Island”, a musical by Jim Eiler and Jeanne Bargy. 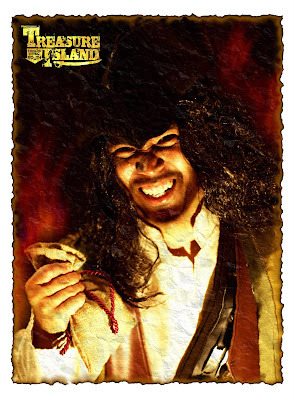 Directed by Michael Williams, and based on the classic novel by Robert Louis Stevenson, this story of pirates, mutiny on the high seas and buried treasure comes your way from September 20 through November 29 at the Insular Life Theater, Alabang! Theater Down South is a company dedicated to providing quality educational and family entertainment in the South Metro area. 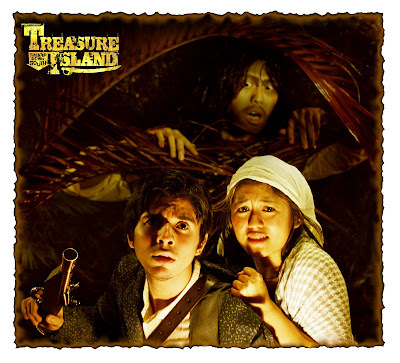 “Treasure Island” is their third production, following “Rapunzel” in 2008 and “A Midsummer Night’s Dream” in 2007. They also do acting workshops, corporate shows and other special events. The company not only hopes to revitalize the theatergoing scene in the area, but also seeks to provide performance opportunities for actors based in the South. Many of their members are based here, with a number of them coming from inside Ayala Alabang Village. With a community theater just a stone’s throw away, there has never been a better time to introduce your children to the joy of live theater! Don't miss this spectacular musical staging to be held at the Insular Life Theater in Alabang. Show dates are as follows: September 20 (Sunday) and 27 (Sunday), October 11 (Sunday) and 31 (Saturday), November 8 (Sunday), 22 (Sunday) and 29 (Sunday). All shows are at 3pm. For information, show booking and other inquiries, please contact Theater Down South thru (+63) 927.8336243, email info@theaterdownsouth.com or visit www.theaterdownsouth.com & www.ticketworld.com.ph. You may also contact Ticketworld by calling (632) 891.9999. Tickets are also available at the gate during the show dates.